Sensors & microchips may signal a new era of a connected workforce, but some experts say these technologies also put employees’ privacy at risk. For example, a recent patent submitted by tech giant Amazon describes an electronic wristband that could monitor employees’ tasks. 3 Square Market, a tech company based in Wisconsin, started an optional microchipping program for its employees in July 2017. UPS has sensors on its delivery trucks to track the opening & closing of doors, the engine of the vehicle & whether a seat belt is buckled. Sam Bengston, a software engineer at 3 Square Market, said he readily agreed to be embedded with a microchip. These innovations can blur the line between security risks & better productivity. 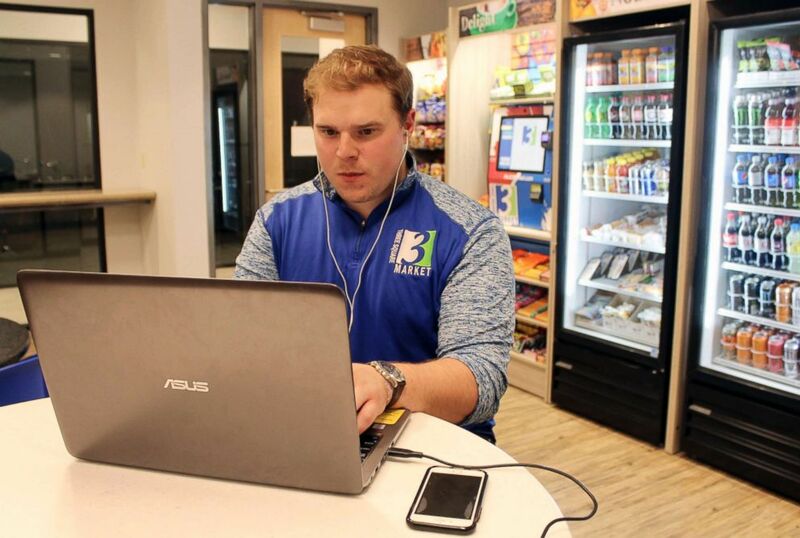 Tony Danna, vice president of international development at 3 Square Market, works on his laptop in a company break room at its headquarters, Tuesday, July 25, 2017 in River Falls, Wis. But those insights may come at a cost to employees’ personal privacy. A patent for smart wristbands that would be worn by Amazon fulfillment center employees was approved at the end of January. The wristbands would use ultrasonic tracking of a worker’s hands to “monitor performance of assigned tasks,” according to the patent application. The device is designed to emit ultrasonic pulses to alert the wearer to inventory locations, Amazon said, adding that the wristband would reduce the need for regular scanners. 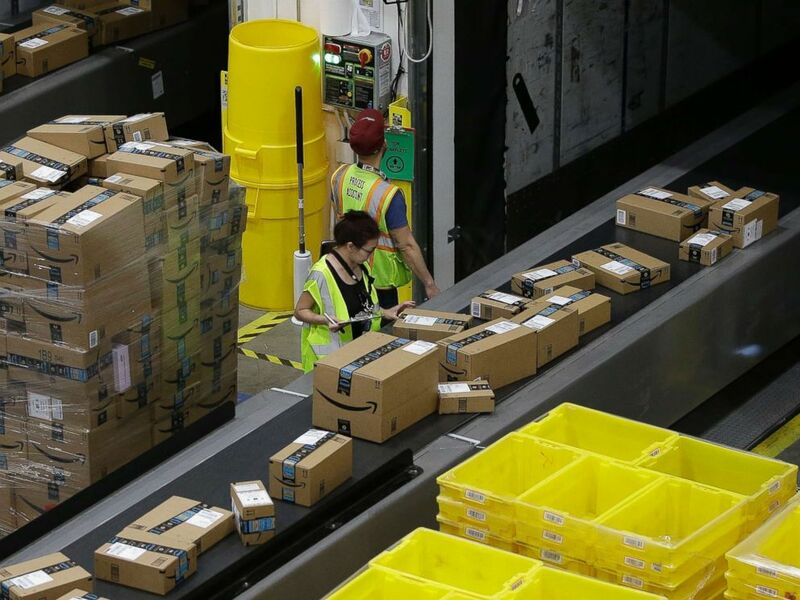 Packages move down a conveyor system to the proper shipping area at the new Amazon Fulfillment Center in Sacramento, Calif. on Feb. 9, 2018. Brantner said she was skeptical of Amazon’s intentions. “The proof will be when & if they implement it, & how it will be used,” she said. Employers can install video cameras, read postal mail & email, monitor phone & computer usage & use GPS tracking, according to Workplace Fairness. Employers also have access to company emails & computers, she added. Major tech companies often apply for experimental patents, Ives said, & it’s inevitable that tracking will take on new forms. She noted that data is already being collected about people’s movements & stored under unknown conditions. In some cases, employees opt in to be monitored. 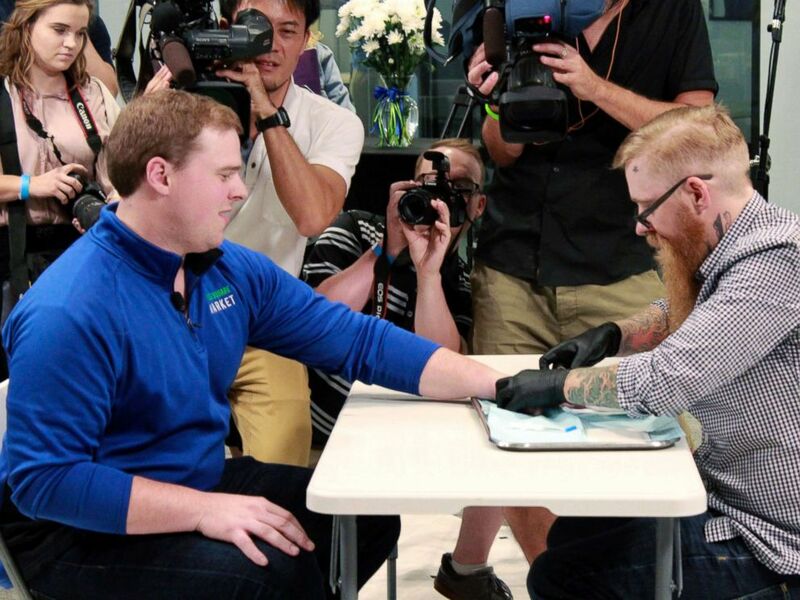 More than 50 of 3 Square Market’s 80 employees agreed to have microchips inserted into their hands. 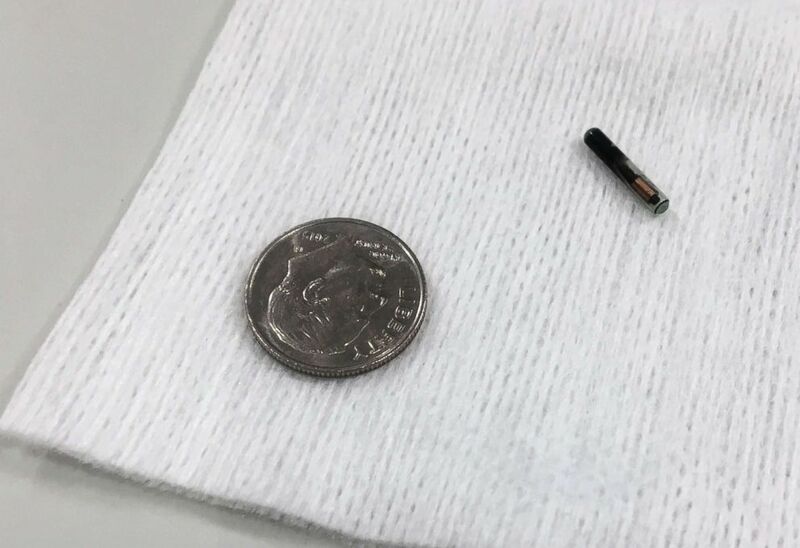 The chip, which was implanted in the skin between an employee’s thumb & pointer finger, allows employees to swipe into the building & use the vending machine. The CEO of the company, Todd Westby, said he has 1, & his wife & young adult children will soon get their own microchips. A microchip is shown compared with a dime, Aug. 1, 2017, at 3 Square Market in River Falls, Wis. for employees who volunteer to have the microchip embedded in their hand. Bengston said his 3 Square Market microchip saves him at least 20 minutes a day. Tony Danna, left, vice president of international development at 3 Square Market in River Falls, Wis., reacts while getting a microchip implanted in his left hand at company headquarters, Aug. 1, 2017. When it comes to privacy or security concerns, Bengston said he isn’t worried. The 3 Square Market chip uses radio-frequency identification (RFID) technology & was approved by the Food & Drug Administration in 2004. The company foots the bill of the microchips, which are $300 each, & if a worker decides they no longer want to participate, they can get it removed. The sensors collect data that can be analyzed to improve delivery methods & optimize the vehicles, UPS said. 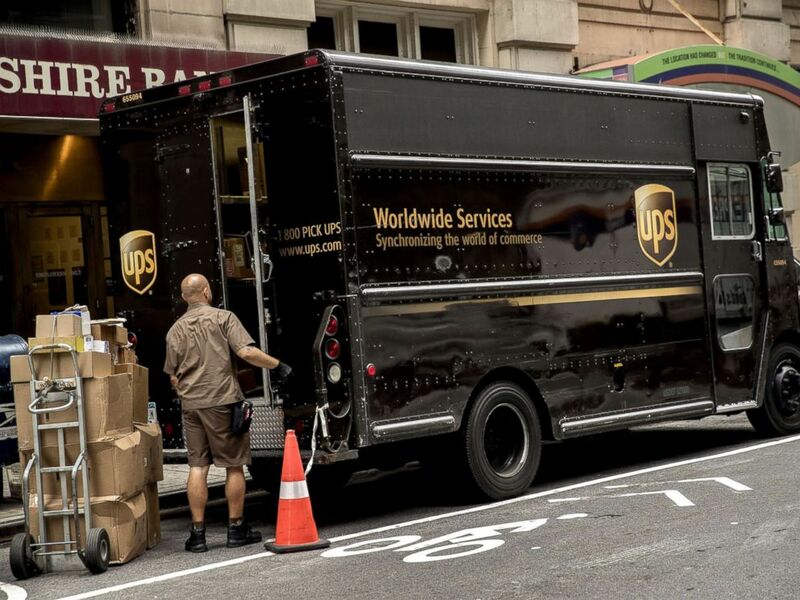 A driver for an independent contractor to United Parcel Service Inc. (UPS) prepares to load packages onto a delivery truck on a street in New York, July 24, 2017. The decision to use tracking technologies should be a conversation between the employer & employee, Burrus said. Ives agreed that employees & companies should agree on the terms.